Sherry Wash has been a Mississippi resident since 1996. She and her husband of over 20 years, Stanley Wash, have three children, Ivana, Morgan, and Tylen. When she is not at her home in Meridian, Sherry enjoys traveling with her family. 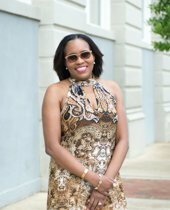 Sherry earned her Bachelor’s Degree in Criminal Justice from Jackson State University and has served in the Army Reserves for 10 years. She has also worked for Mississippi Power as an Administrative Assistant, but it was her work as a Paralegal that peaked her interest in real estate. Now as a licensed Realtor®, Sherry looks forward to bringing her energy and expertise to the real estate industry.